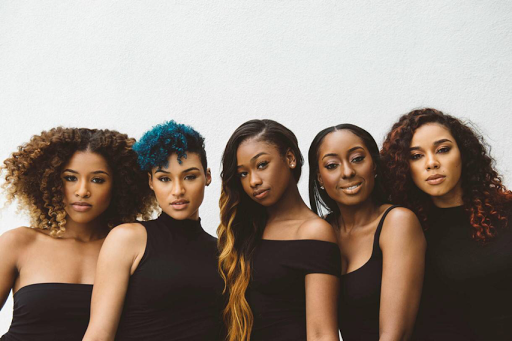 RAW HOLLYWOOD : VIDEO: JUNE'S DIARY COVERS XSCAPE'S "TONIGHT"
VIDEO: JUNE'S DIARY COVERS XSCAPE'S "TONIGHT"
The ladies of June's Diary are in the beginning stages of their music careers & as of lately that very bright future seems to be hanging in limbo. After releasing several buzz singles that the fans have fallen in love with it seems as though the track did not bringing the exciting buzz that the record label was anticipating. In an effort to grow their fan base they have been joining R. Kelly on tour. All five ladies have an impeccable singing talent & they have put it on display for all the world to see. JD has chosen to do a cover of the 90's R&B groups song "Tonight" from their debut album Hummin' Comin' At 'Cha that was released in 1993.